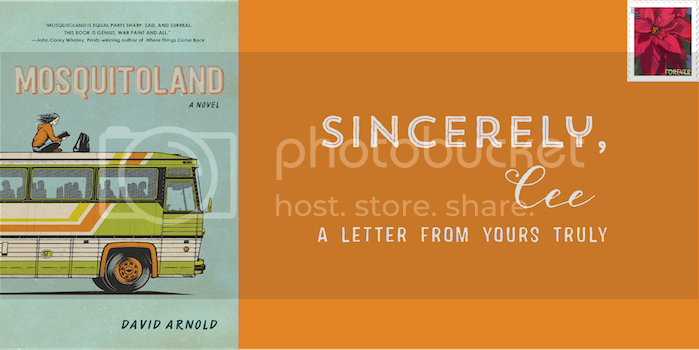 ESSENTIAL READING | Five Books Mim from Mosquitoland Would Love + Why! Do you ever wonder about what books shaped the lives of the characters you read about? What were Kami Glass from The Lynburn Legacy, Seth from More Than This, or Taylor Markham from Jellicoe Road reading? What books did they love? In Essential Reading, readers and authors share five to seven books (children’s, YA, general fiction, romances, nonfiction, and all) that they or their characters love, or has impacted their lives or their characters’s lives. I’m incredibly excited about this series. I wanted to do a feature that focused on authors and their characters, and that gave me the opportunity to contact authors, and voila! We have this lovely feature. It’s a great idea, right? Because we all have those favorite books we hold close to our heart, but what about those characters? They are readers too; they must have books they love. So, I am very honored to have David Arnold, author of Mosquitoland, kick off this feature. Let’s give him a warm welcome!